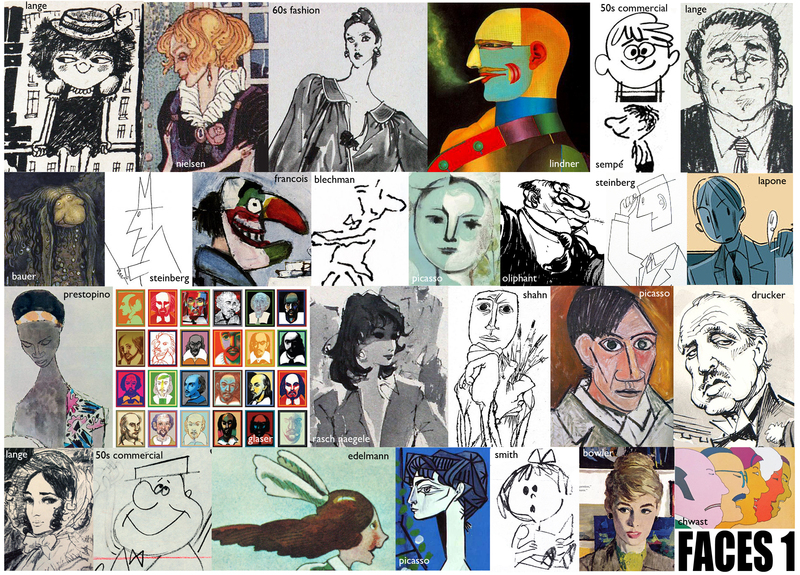 JOHN and FAITH HUBLEY’S – THE TENDER GAME – was produced in 1958. when I saw this animated masterpiece in the early 70s in an animation exhibit in zurich, the abstract style of the animation and backgrounds inspired my own work for all my years in artschool. 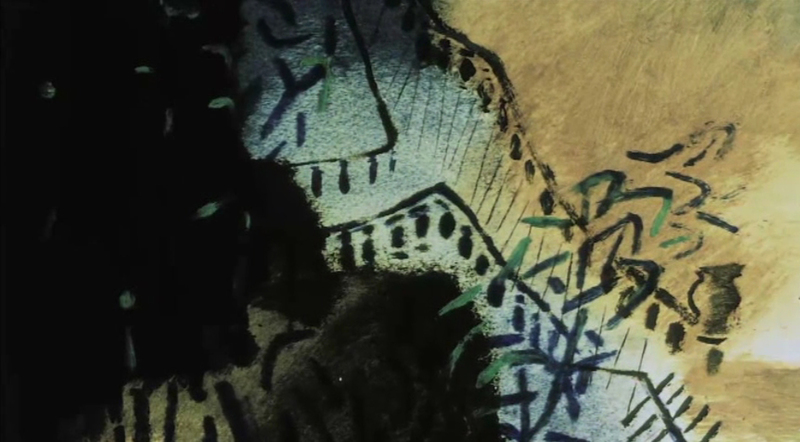 all the background artwork is by JOHN HUBLEY, the animation by BOBE CANNON, EMERY HAWKINS, ED SMITH and JACK SCHNERK, ELLA FITZGERALD sings the beautiful song ‘TENDERLY’, together with THE OSCAR PETERSON TRIO. 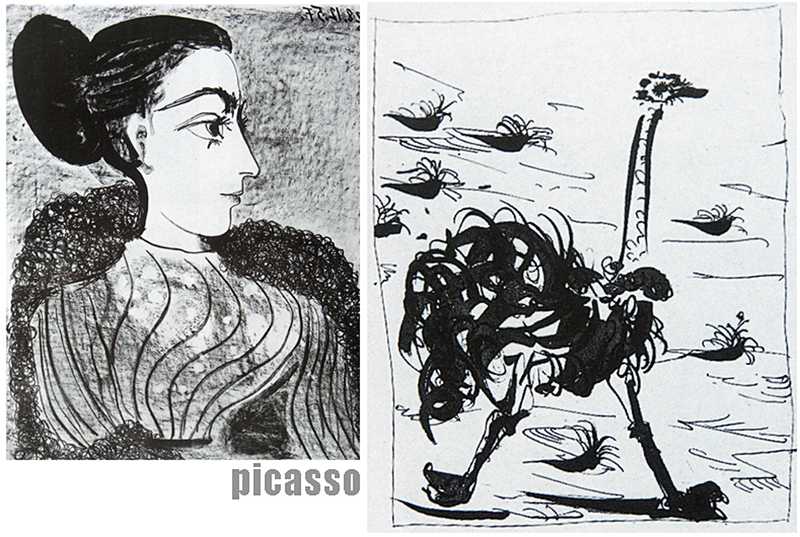 I am sure, all the artwork still exists, but I never had a chance to see the originals. below are some of the pan-bg’s, recreated from a very good quality print I found recently. 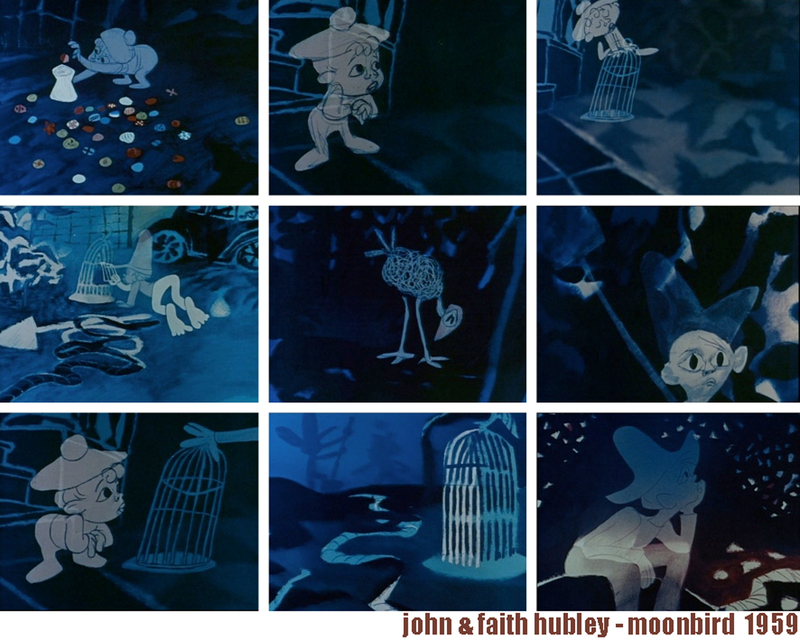 let’s start with my all time favorite filmmaker – JOHN HUBLEY, and – MOONBIRD, 1959, voices of mark and ray hubley, animated by BOBE CANNON and ED SMITH, the first of three Oscar-winning and seven Oscar-nominated shorts from the hubleys. 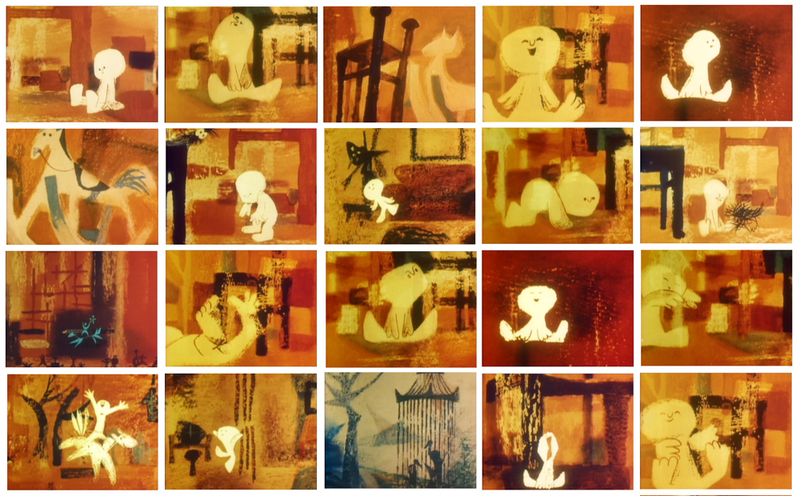 best short animated subject, 1959. here is the official info from the KEYFRAME website – john and faith hubley recorded the random conversation of their children and then constructed an Oscar-winning cartoon around it. the story concerns two boys who have a nocturnal adventure outside their house, making a trap to catch the mysterious ‘moonbird’. 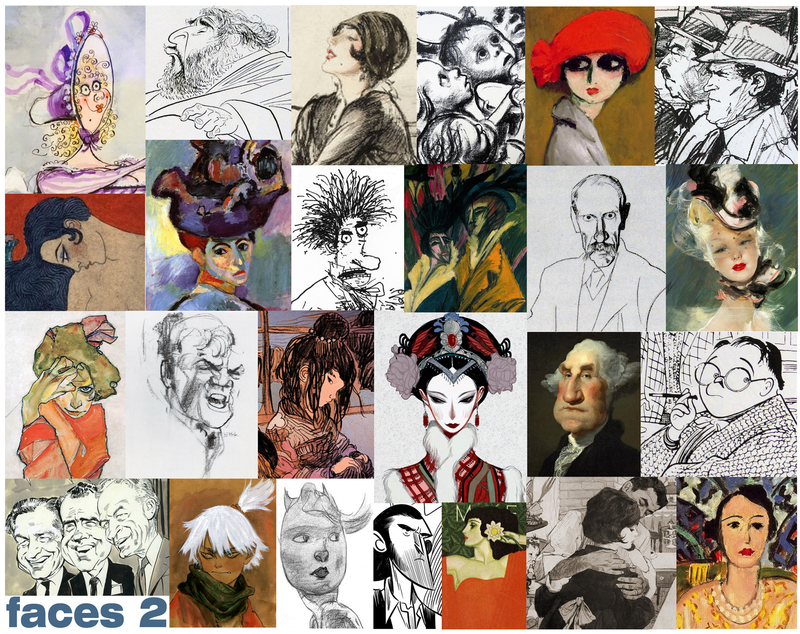 john hubley formed storyboard studios after he was blacklisted by the HOUSE UNAMERICAN ACTIVITIES COMMITTEE, and fired from UPA, for refusing to ‘name names’ or apologise for his previous work. 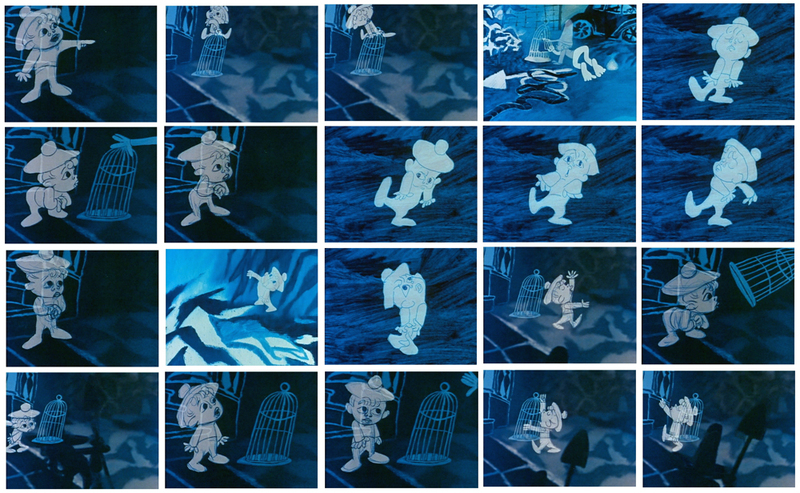 ironically he had helped form UPA after being involved in the Disney animator’s strike. 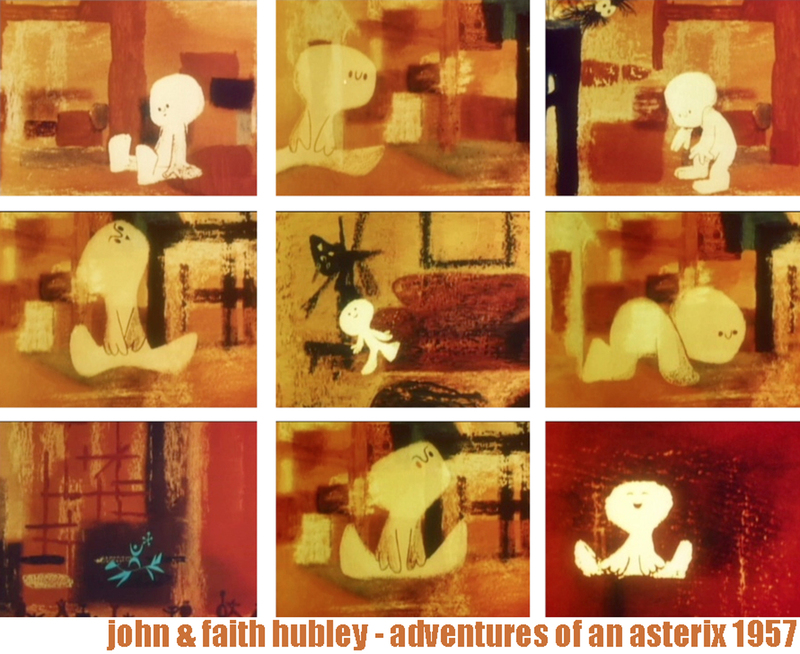 ADVENTURES OF AN *, 1957, the first film john and faith hubley produced together commissioned by the guggenheim museum. 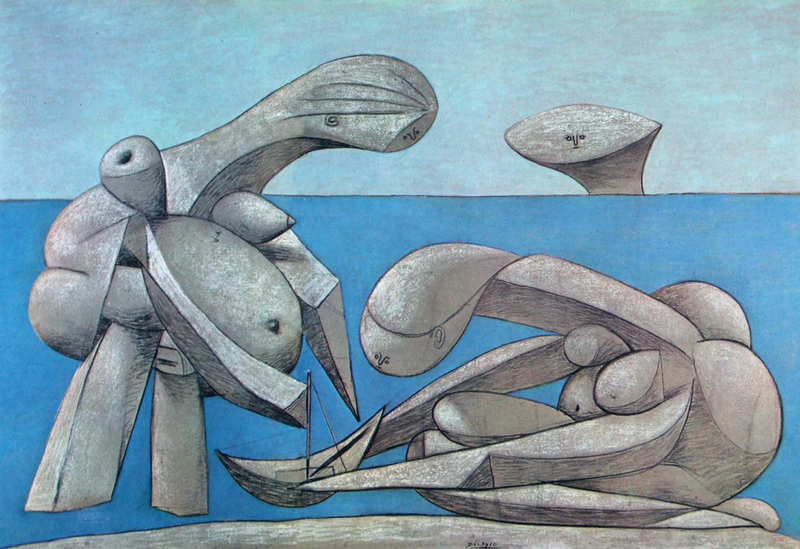 I never forget when I saw this jewel for the first time in an animation exhibition in zurich in 1971. at that time I was studying design in my 2.year. 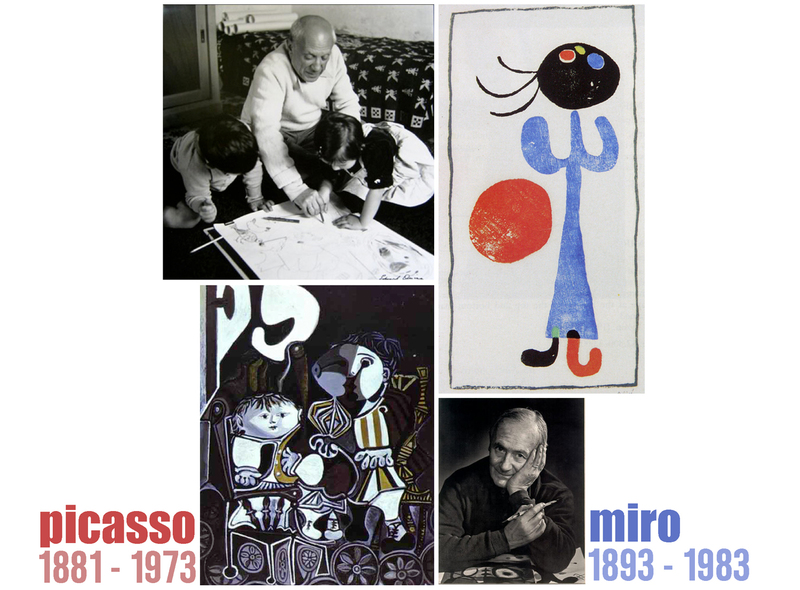 from then on I wanted to create films like adventures of an * and moonbird. 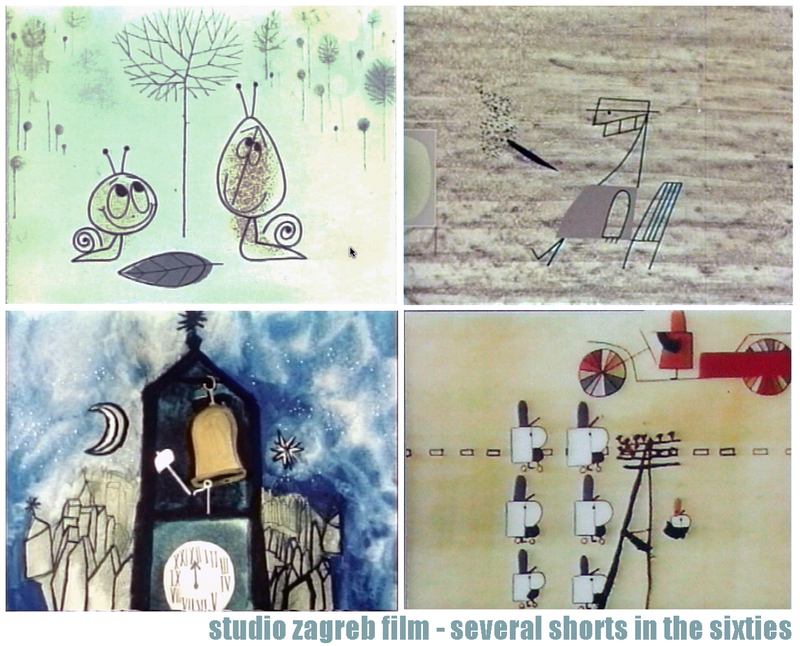 the sugar sweet disney films were forgotten and I concentrated on the NEW animation, like the ZAGREB FILM shorts, LEN LYE and NORMAN McLAREN, LENICA and even the new french and english animation.